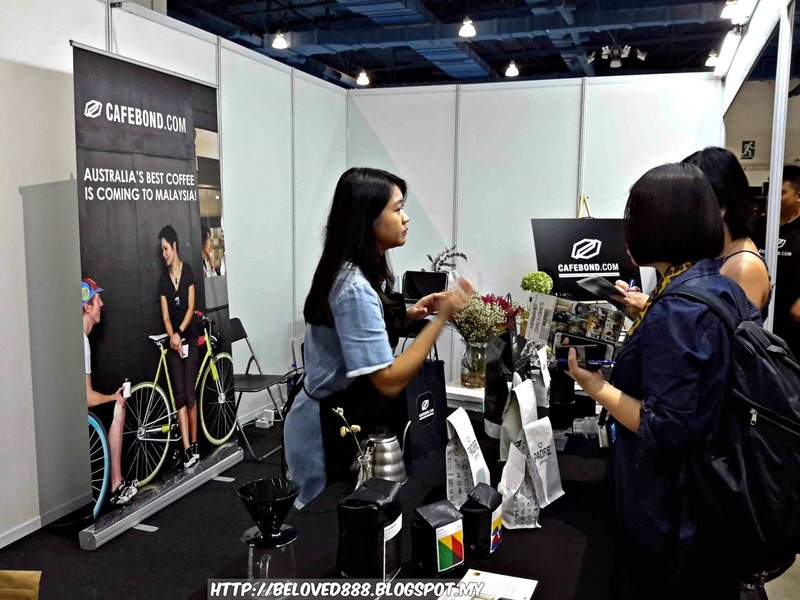 The moment has come whereby the biggest exhibition "I Love Coffee & Tea expo" has hit Malaysia. 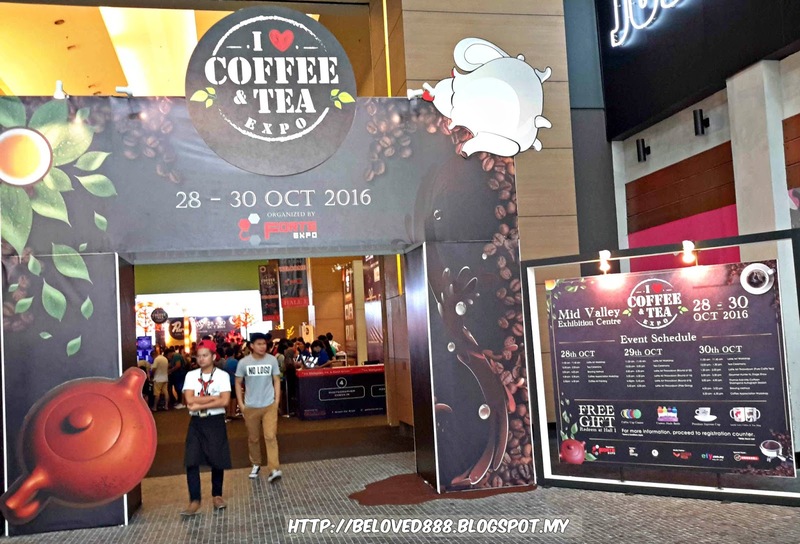 I Love Coffee & Tea Expo happen on 28th until 30th October 2016 at Hall 1, Mid Valley Exhibition Centre. The event run from 10am until 9pm. 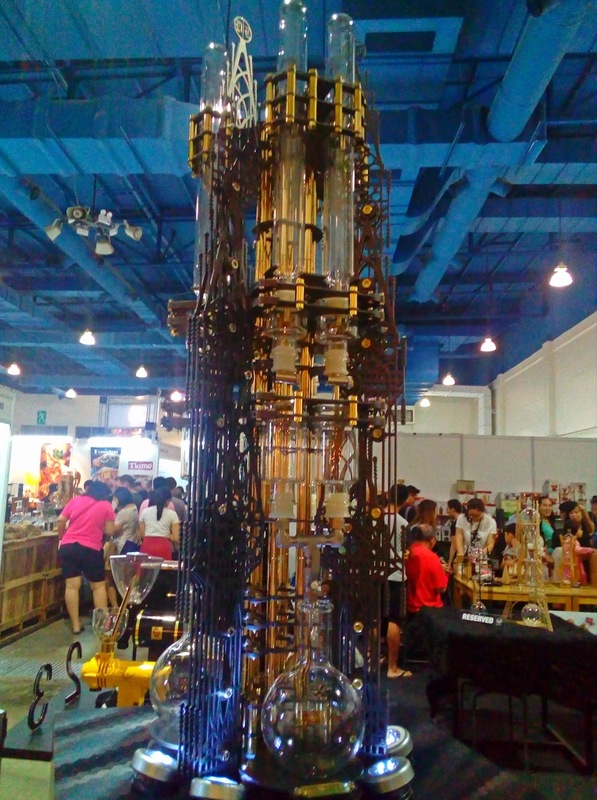 The organizer for the event is Forte Expo and I glad I able make it to the expo. 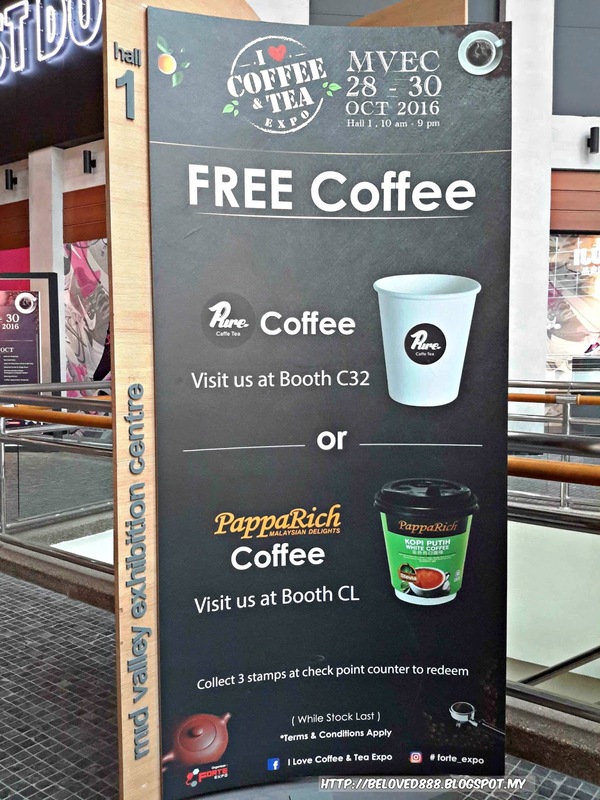 Do you manage get your free coffee from Pure Caffe Tea or PappaRich coffee? 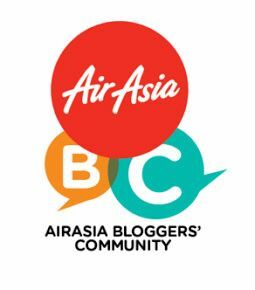 Just collect 3 stamps at the check point counter and proceed to the booth to redeem your free coffee. 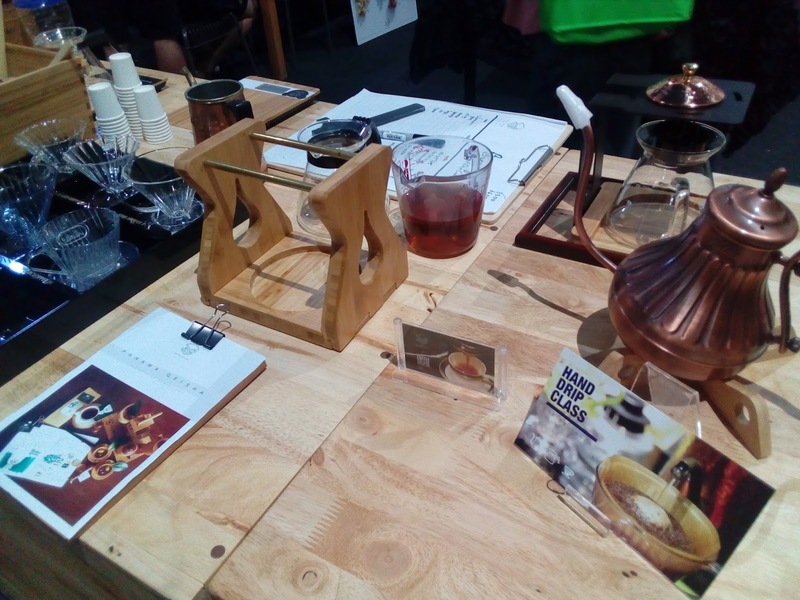 If you are passion towards coffee or tea, I Love Coffee & Tea expo is the best place to grab your premium coffee or tea, learning more about Latte Art, attending Coffee Appreciation workshop or even meet the successful owner that willing to share their passion towards coffee and tea. 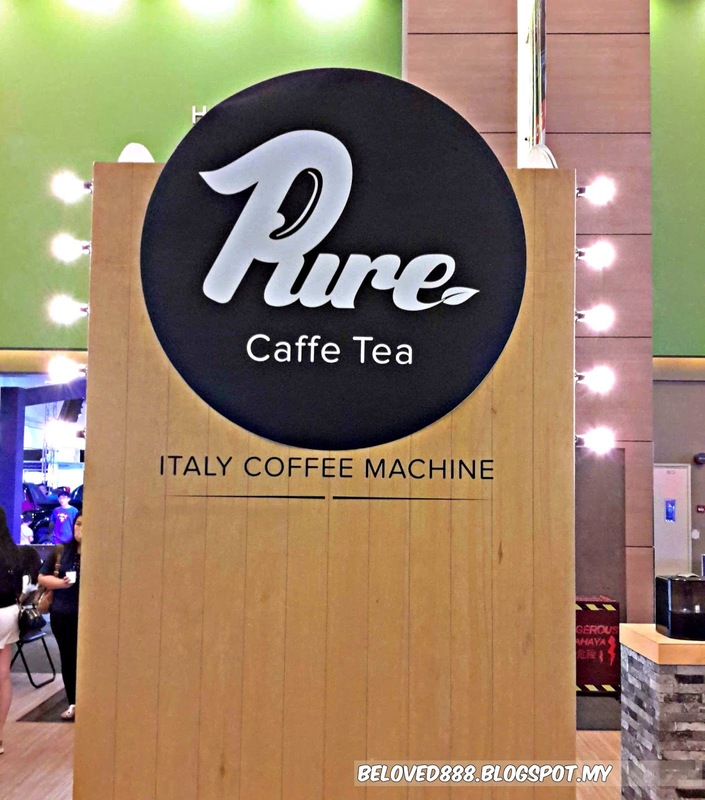 Have you redeem your premium Italy Coffee at Pure Caffe Tea booth? Pure Caffe Tea offers affordable Italy Coffee Machine package and at the same time, you stand a chance to win Italy Trip. 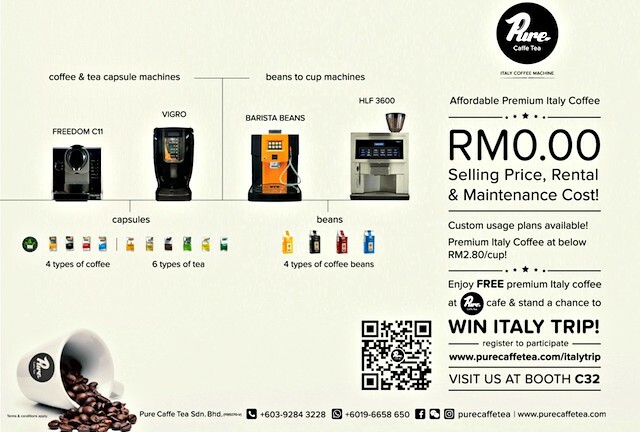 Now you can enjoy your Premium Italy Coffee at below RM2.80/cup everyday. Find more regarding Pure Caffe Tea at their website : www.purecaffetea.com or Follow them on Facecook at www.facebook.com/purecaffetea. 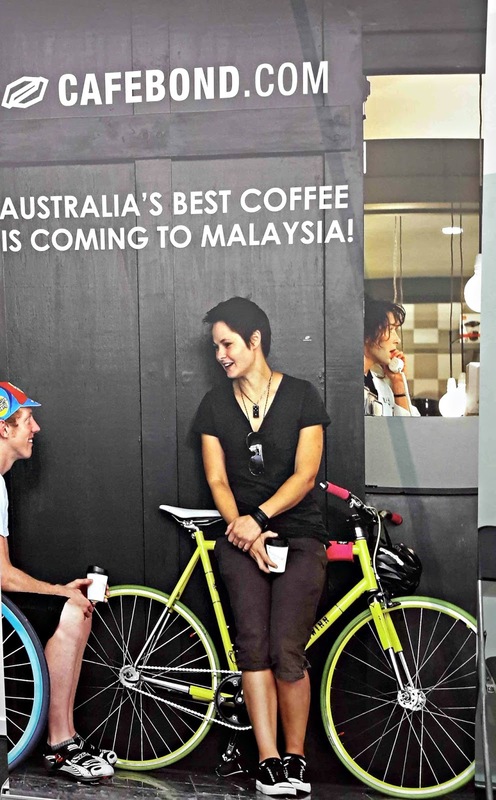 Good news to coffee lover as you get to enjoy Australia's best coffee that available in Malaysia market now. 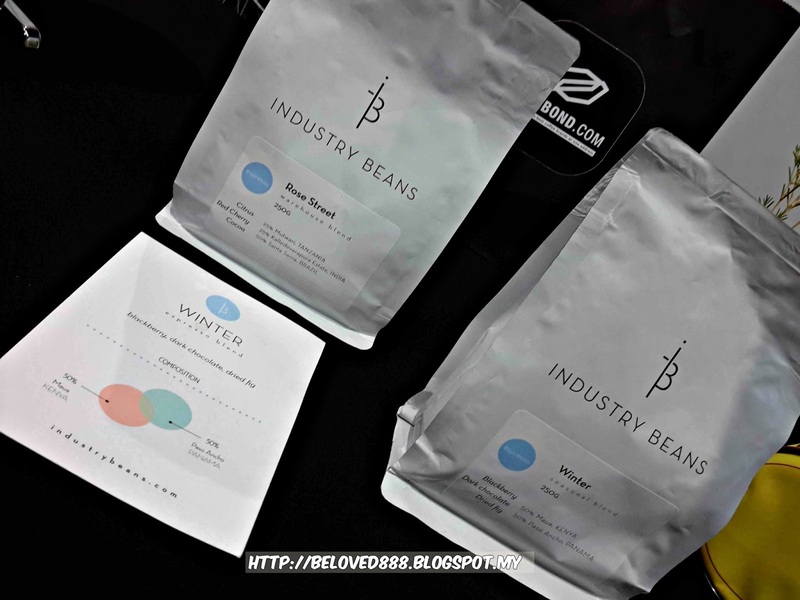 Shop the best coffee bean from CafeBond and checkout with the code "CAFEBOND10" for RM10 off for the first order. 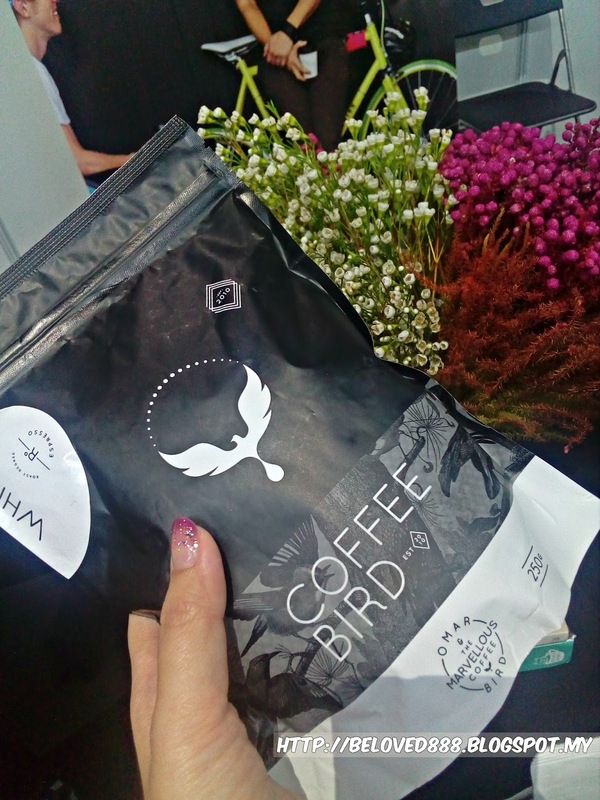 Shop for the best coffee bean with Cafebond.com at https://cafebond.my/ . Do follow Cafebond on Facebook and Instagram . 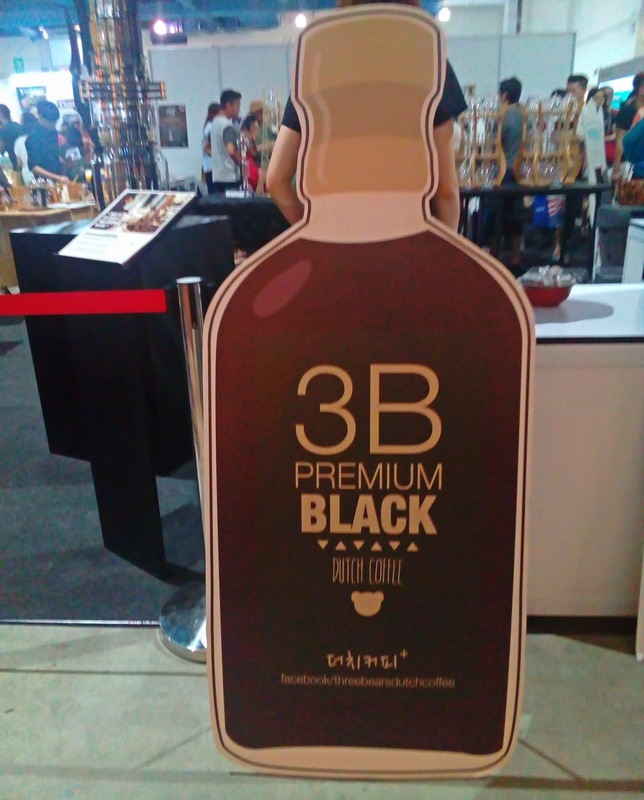 Featuring a creative masterpiece on how Jae Wong Kwak, famous Seoul Barista produce a purest coffee that able capture everyone attention. 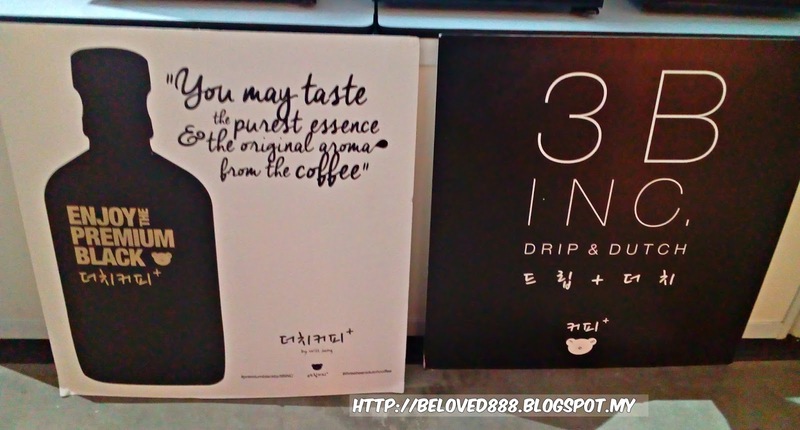 3B INC offer the purest Korean coffee. For more information, check out the Facebook at https://www.facebook.com/threebearsdutchcoffee. 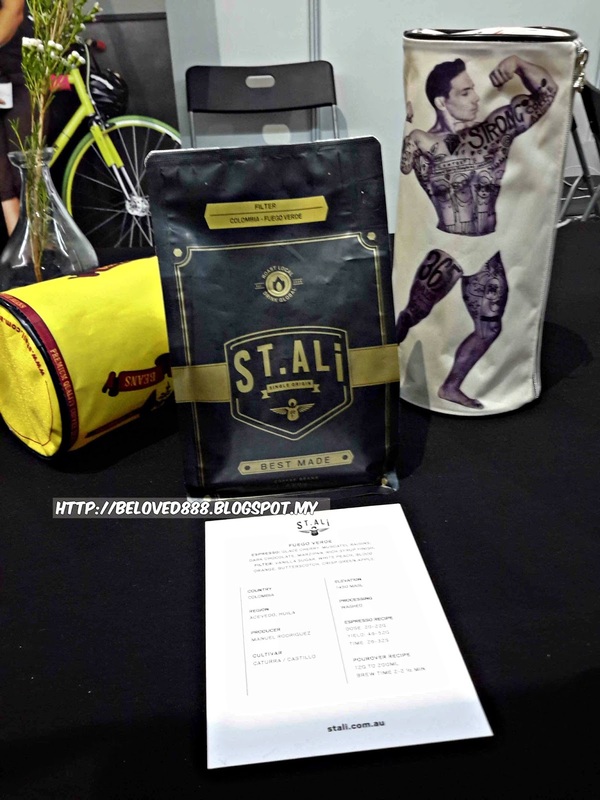 Meet the humble owner during the expo and he share is passion and love towards coffee. 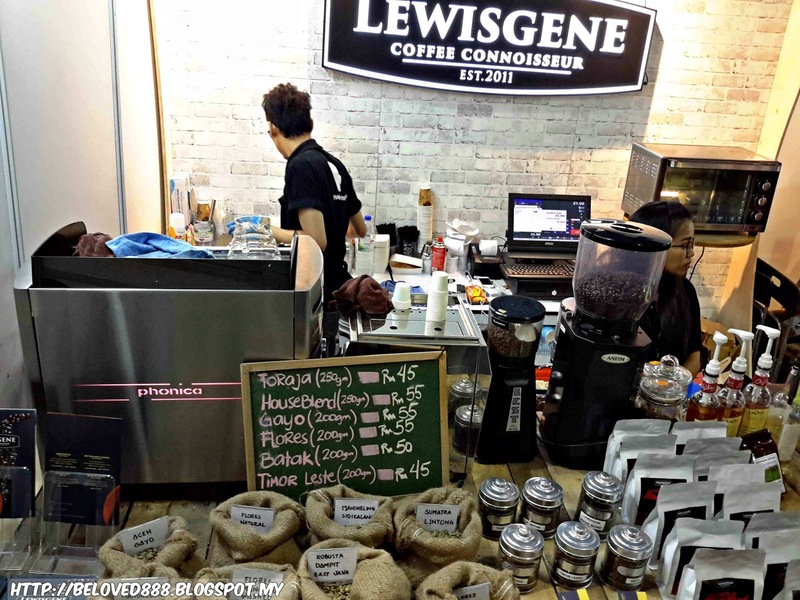 LewisGene is the very few independent coffee restaurant who first operated in Kuala Lumpur. Since 2011, LewisGene has served an extensive offering of high quality coffee, tea, breakfast, waffle and cheesecake. 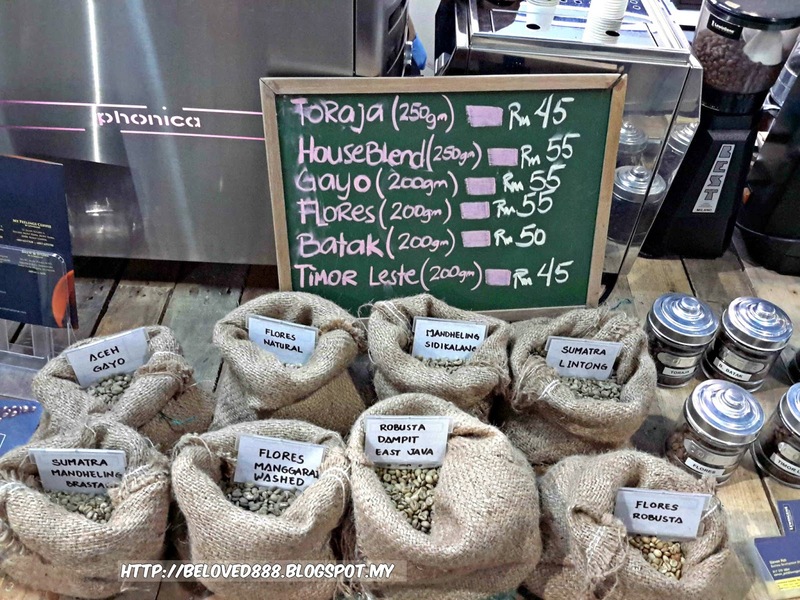 The owner journey impress me as he will ensure he deliver the best quality coffee and tea to his customers. 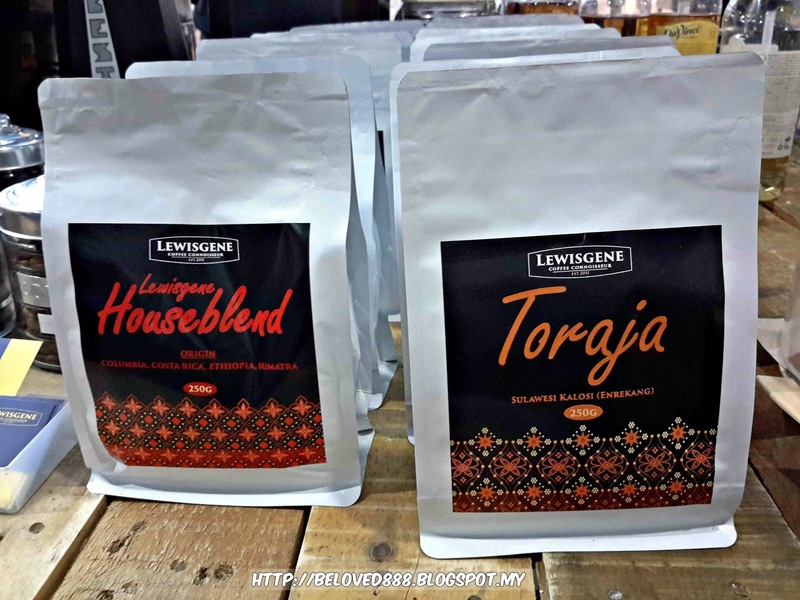 LewisGene using the best quality coffee bean from Indonesia. 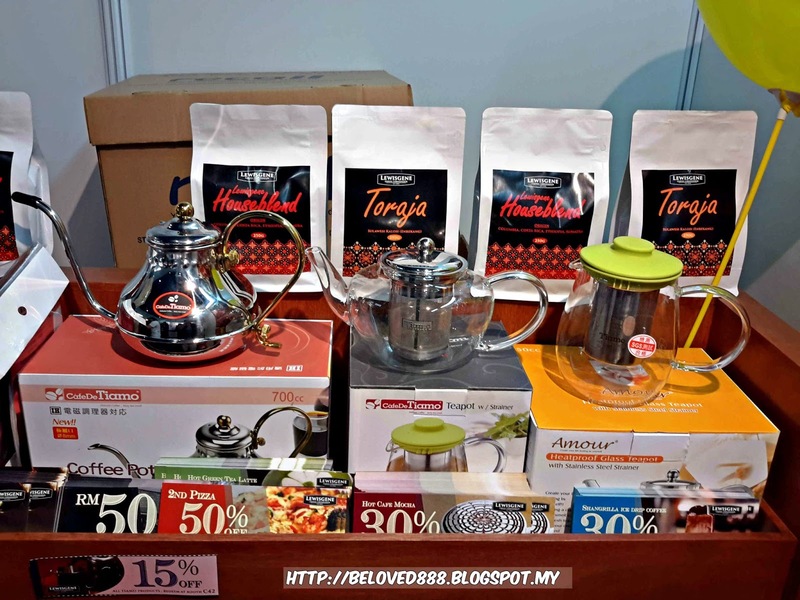 During the expo, LewisGene offer 15% off for Tiamo products and 50% off on 2 pack for HouseBlend and Toraja Bean. More information regarding LewisGene can found in their website : www.lewisgenecafe.com.my or follow them on Facebook and Instagram. Liselle, the feminine character of a fashion illustrator portrays an image and personality of confident, elegance and charismatic that fuels an intrinsic potency for feminine lovers that has dreams to build and being ambitious. 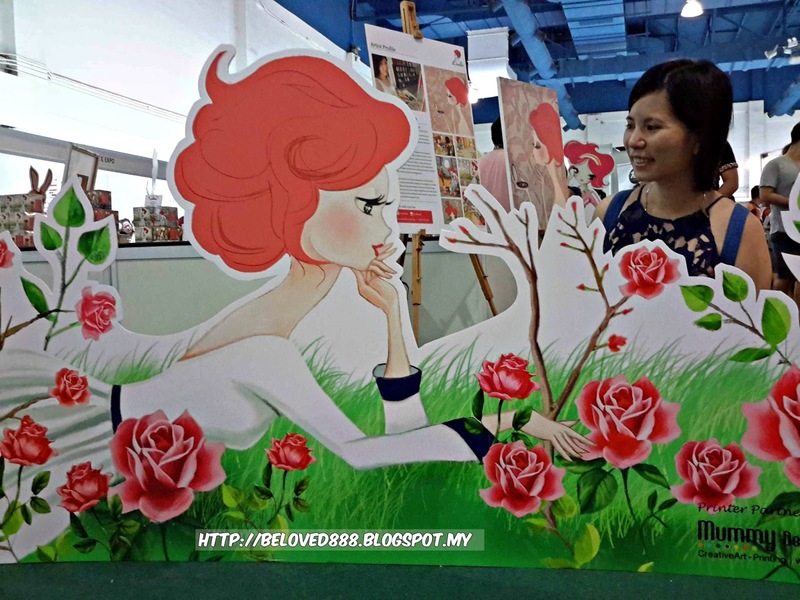 Liselle portrait able capture young heart to drop by their booth and know more about Liselle story. 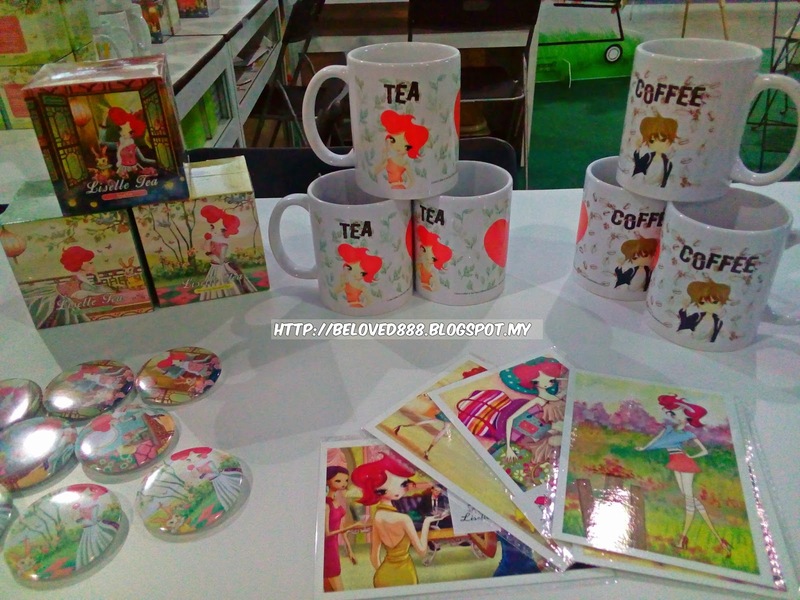 During the expo, customers get to purchase the limited edition of Liselle merchandise. 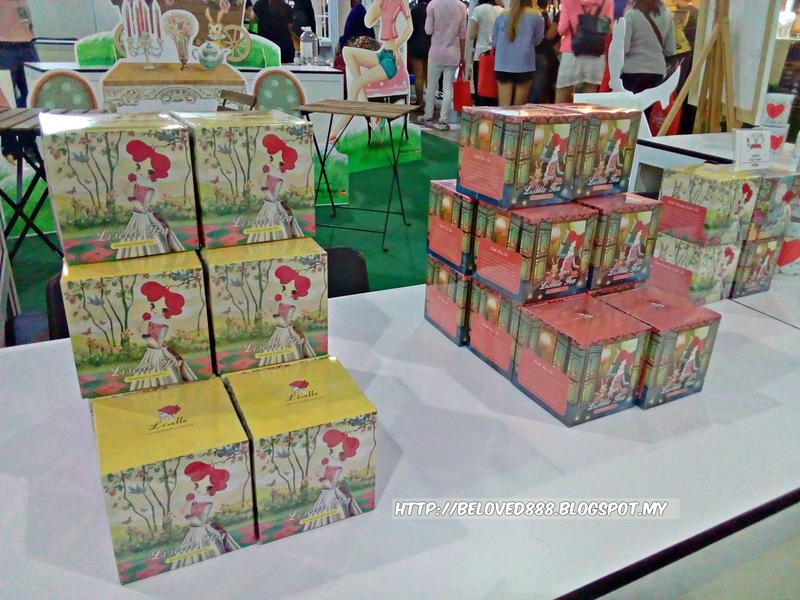 For tea lover, Liselle offers 4 different type of tea that brings the nice aroma of the tea. 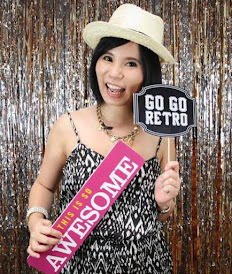 Liselle brings out the unique personality and Liselle collaborate with different partner to expand their dream in the market. More information can be found in Liselle website : http://www.liselle.com.my/. 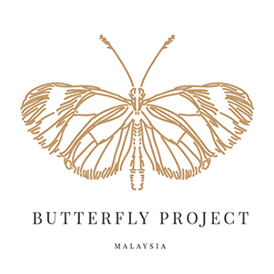 Follow Liselle Journey on their Facebook and Instagram. Anyone of you looking forward to hear more about Coffee Origins? The comic hang on the booth wall actually capture my attention. 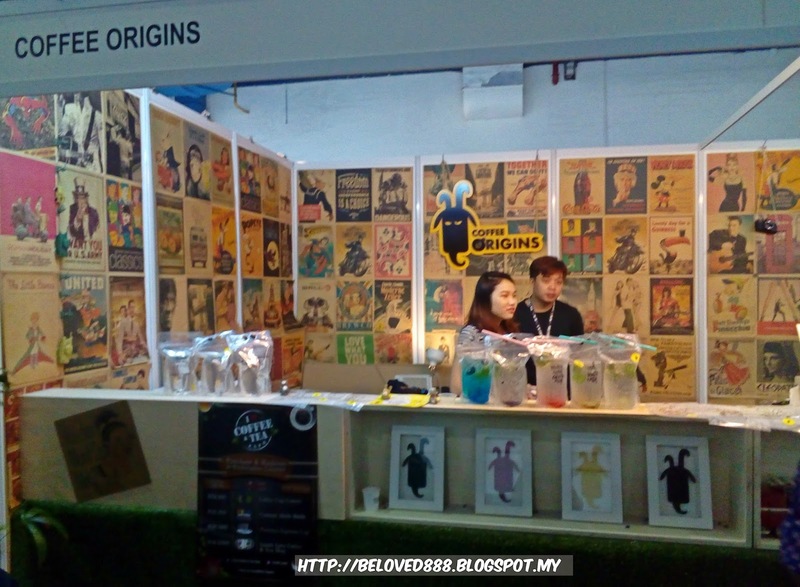 Coffee Origins is located at Bandar Botanic, Klang. Coffee Origins offers a unique drinks and yumilicious cakes. 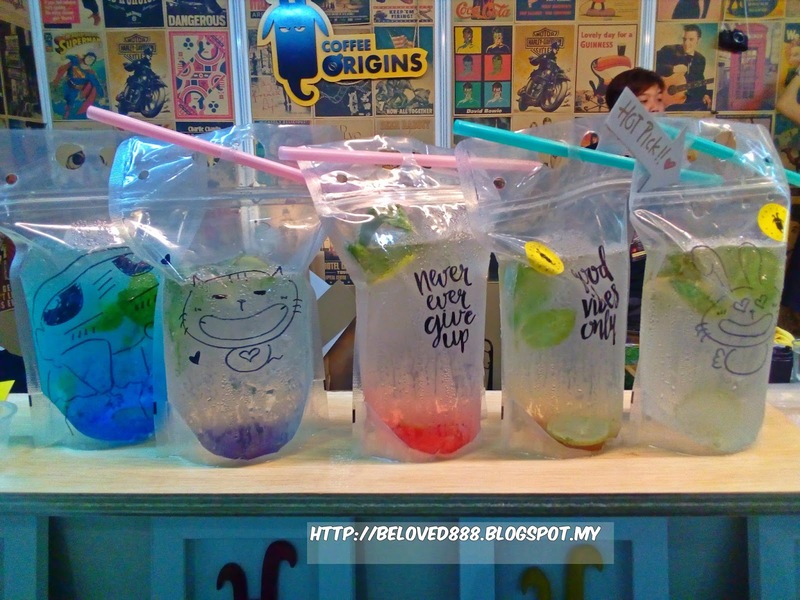 Do drop by to Coffee Origins cafe and visit their Facebook. 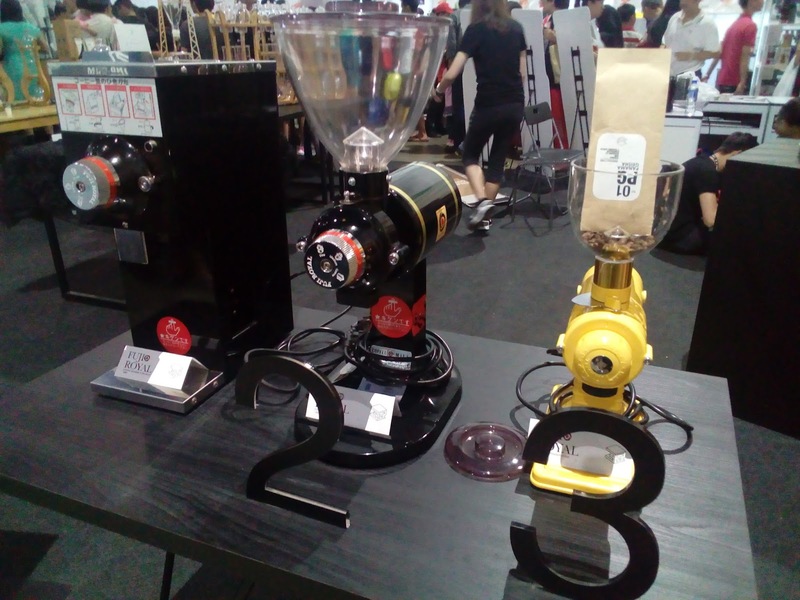 My husband and I so excited exploring I Love Coffee & Tea expo. 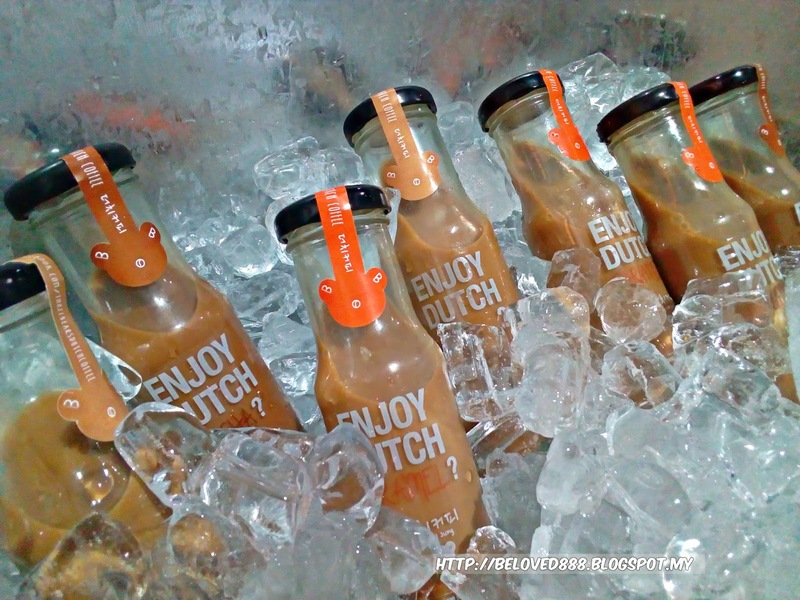 Is like a heaven to us as we manage grab our favorite coffee and tea with this crazy offer. We looking forward for the next expo in 2017. 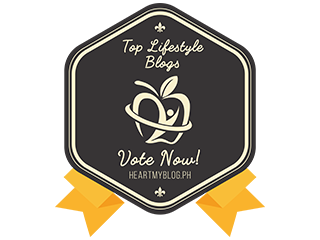 More information can be browse on I Love Coffee & Tea's Facebook.